Step into the shoes of Fenix, a really sweet creature of speed and (blocky) cuteness… then feel his boundless rage. He is pissed! You would be too if your village was decimated by a huge explosion (and your game name was legally blocked! 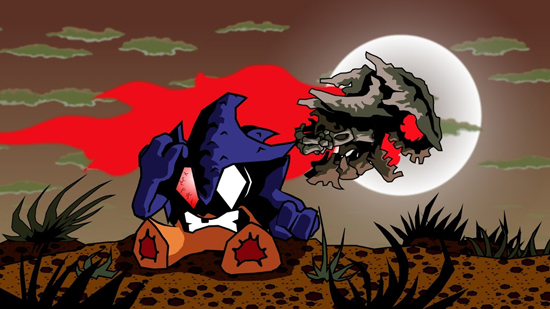 ), leaving only two survivors: Fenix and the mysterious enemy Oktarus. Fenix will track down this shadowy villain through nine worlds, defeating righteously brutal bosses and hundreds of minions bent on his destruction, on a mission to return harmony back to his world. And to get cookies. Formerly known as Fenix Rage, players will find new challenges with the retuned game levels, new playable character, and the highly requested split-screen Two Player Mode in Fenix Furia.